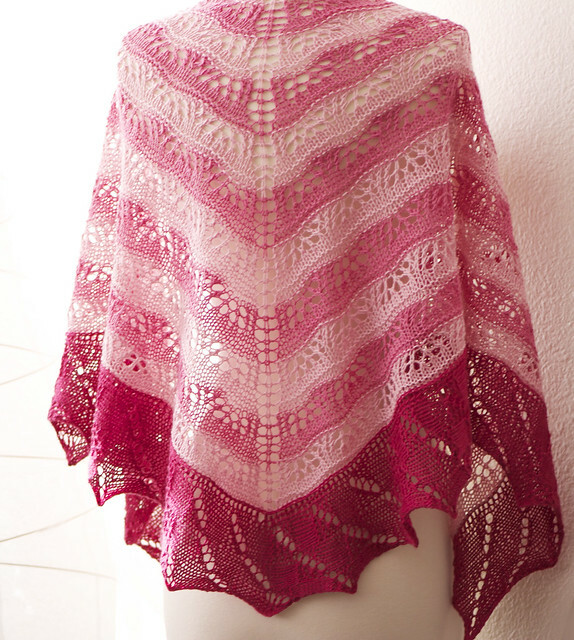 The November 2013 KAL Kits are now available! This time I decided to offer the KAL kits in shawlette and full sized shawl sizes, so you’ll have your choice of 3 or 6 skeins of gradient dyed yarn. Lyn of Shelridge Yarns has specially prepared these yarns for us and it was such a joy to work together on this project. 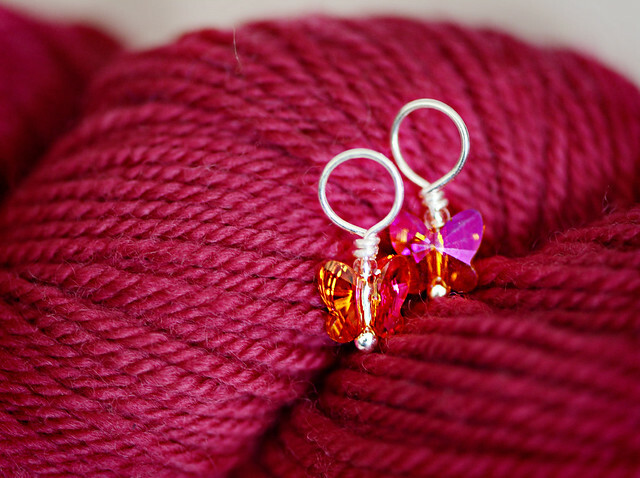 Sterling Silver and Swarovski Crystal Markers by Knitifacts. 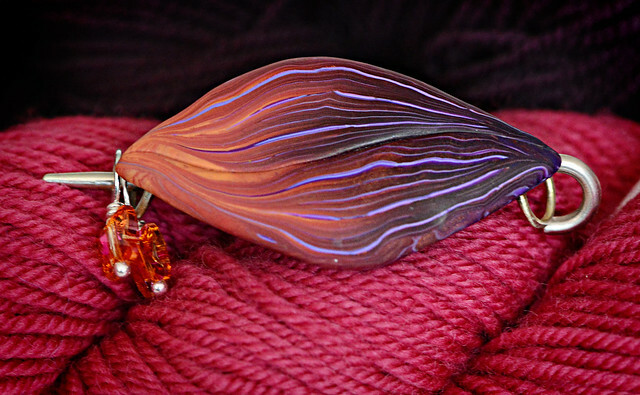 Beautiful Plum hand crafted Shawl Pins by Bonnie Bishoff. These kits are only available for sale through September 29th and once they sell out, that’s it! 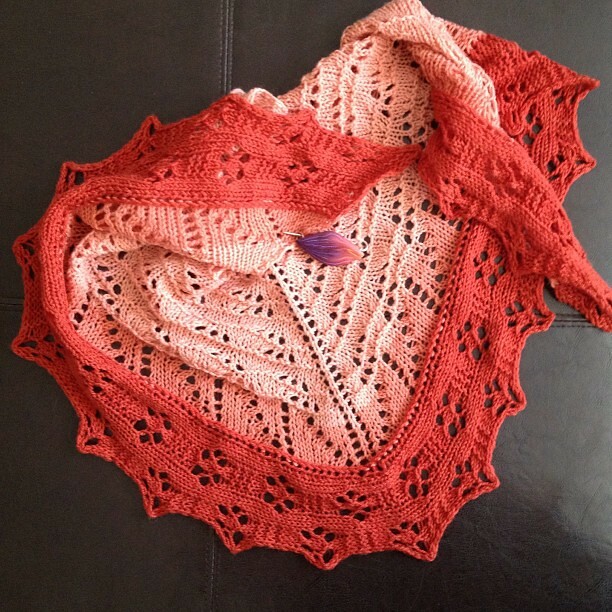 Kits ship November 1st and we will hold a KAL beginning November 7th, 2013.